With the New Year fast approaching, I’d love to encourage you to share the importance of daily devotions with your children. Spending quality time with God each day is not just good for you, as parents, but it is also an important habit for the kids to start as well. My daughter is turning 8 this week and she loves reading her Bible. 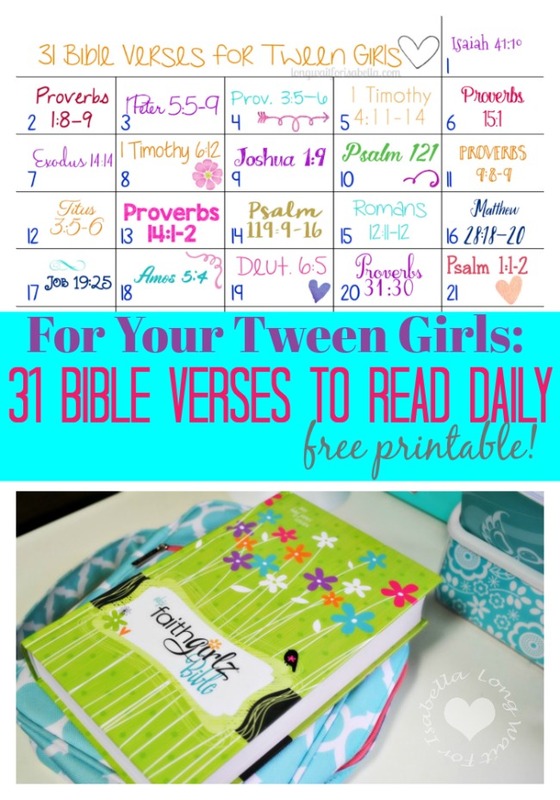 I was excited to see a new Bible available for Tween girls: Faithgirlz Bible. I am putting this one away for my daughter for when she gets just a bit older. Spending quality time with God each day is an important habit for her to start. 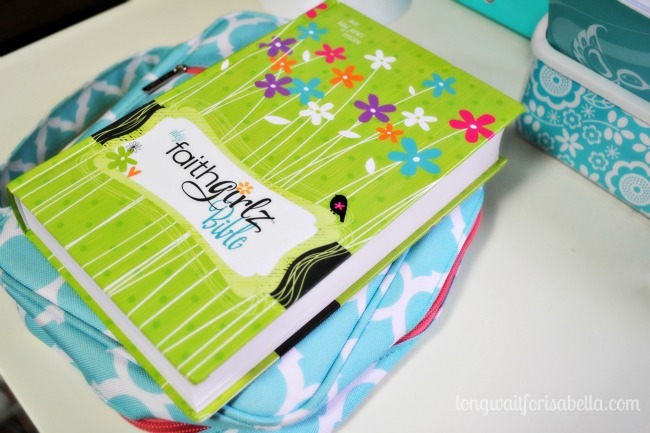 Every girl wants to know she’s totally unique and special – and this Bible celebrates that with faithGirlz!™ sparkle. 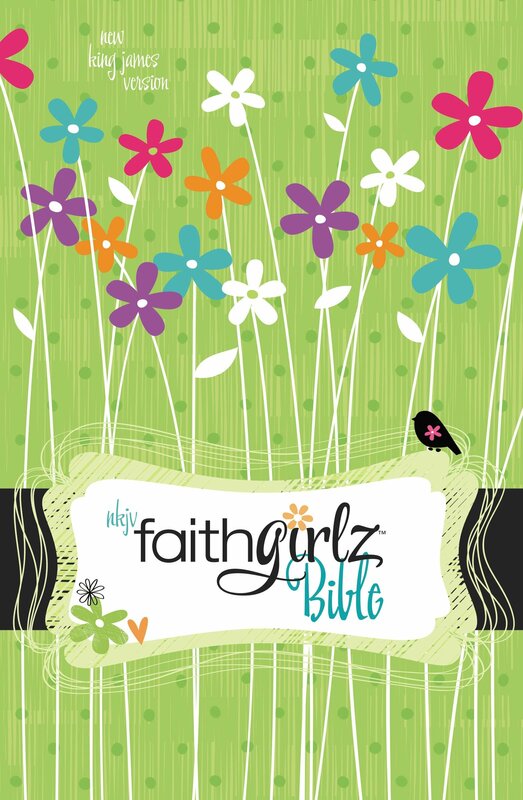 Through the many in-text features written by best selling author Nancy Rue and found only in the faithGirlz! 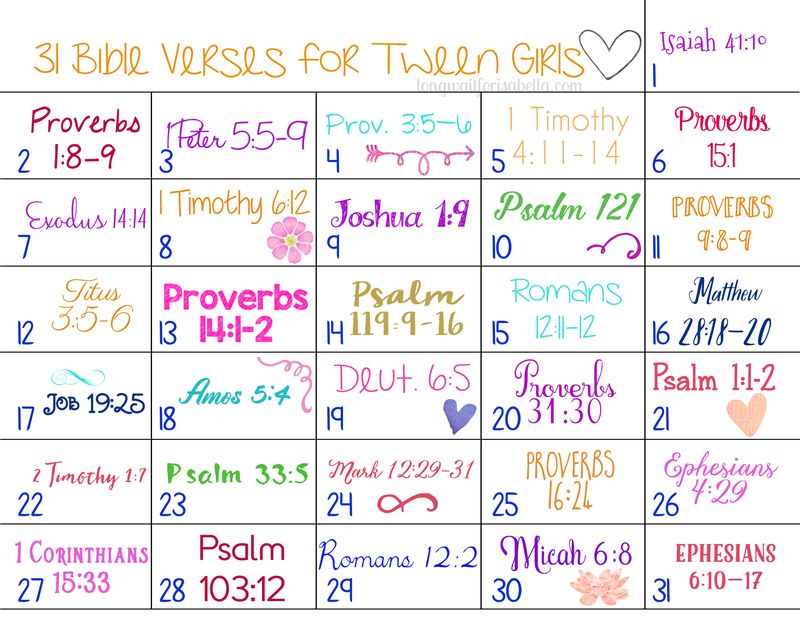 Bible, girls will grow closer to God as they discover the journey of a lifetime. Book introductions – Read about the who, when, where and what of each book. Dream Girl – Use your imagination to put yourself in the story. Bring It On! – Take quizzes to really get to know yourself. Is There a Little (Eve, Ruth, Isaiah) in You? – See for yourself what you have in common. 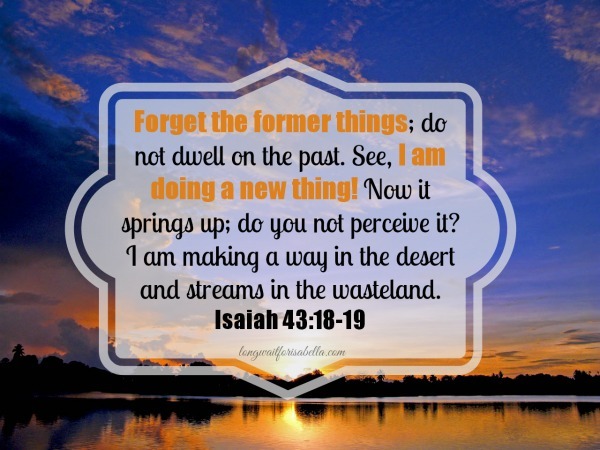 Words to Live By – Check out these Bible verses that are great for memorizing. What Happens Next? 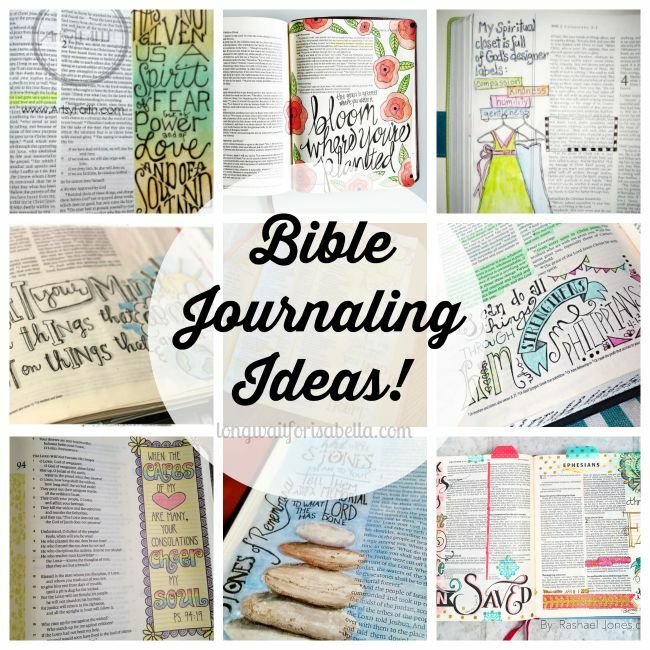 – Create a list of events to tell a Bible story in your own words. Oh, I Get It! – Find answers to Bible questions you’ve wondered about. 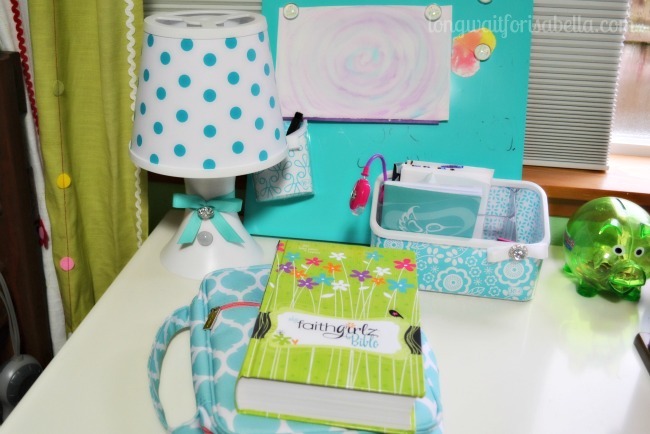 FaithGirlz: Girls will grow closer to God as they discover the journey of a lifetime. Proverbs 1:8-9 Listen, my son, to your father’s instruction and do not forsake your mother’s teaching. They will be a garland to grace your head and a chain to adorn your neck. 1 Peter 5:5-9 Young men, in the same way be submissive to those who are older. All of you, clothe yourselves with humility toward one another, because, God opposes the proud but gives grace to the humble. Humble yourselves, therefore, under God’s mighty hand, that he may lift you up in due time. Cast all your anxiety on him because he cares for you.Be self-controlled and alert. Your enemy the devil prowls around like a roaring lion looking for someone to devour. Resist him, standing firm in the faith, because you know that your brothers throughout the world are undergoing the same kind of sufferings. 1 Timothy 4:11-14 Command and teach these things. Don’t let anyone look down on you because you are young, but set an example for the believers in speech, in conduct, in love, in faith and in purity. Until I come, devote yourself to the public reading of Scripture, to preaching and to teaching. Do not neglect your gift, which was given you through prophecy when the body of elders laid their hands on you. Proverbs 9:8-9 Do not rebuke mockers or they will hate you; rebuke the wise and they will love you. Instruct the wise and they will be wiser still; teach the righteous and they will add to their learning. Proverbs 14:1-2 The wise woman builds her house, but with her own hands the foolish one tears hers down. Whoever fears the Lord walks uprightly, but those who despise him are devious in their ways. Psalm 119:9-16 How can a young person stay on the path of purity? By living according to your word. I seek you with all my heart; do not let me stray from your commands. I have hidden your word in my heart that I might not sin against you.Praise be to you, Lord; teach me your decrees. With my lips I recount all the laws that come from your mouth. I rejoice in following your statutes as one rejoices in great riches. I meditate on your precepts and consider your ways. I delight in your decrees; I will not neglect your word. 1 Corinthians 15:33 Do not be misled: “Bad company corrupts good character. Psalm 103:12 As far as the east is from the west, our sins are removed from God’s memory. Ephesians 6:10-17 Finally, be strong in the Lord and in his mighty power.Put on the full armor of God, so that you can take your stand against the devil’s schemes. For our struggle is not against flesh and blood, but against the rulers, against the authorities, against the powers of this dark world and against the spiritual forces of evil in the heavenly realms. Therefore put on the full armor of God, so that when the day of evil comes, you may be able to stand your ground, and after you have done everything, to stand. Stand firm then, with the belt of truth buckled around your waist, with the breastplate of righteousness in place, and with your feet fitted with the readiness that comes from the gospel of peace. In addition to all this, take up the shield of faith, with which you can extinguish all the flaming arrows of the evil one. Take the helmet of salvation and the sword of the Spirit, which is the word of God.